​Binge eating is a mystery to many of us, and it's hard to understand why we actually do it. What is it that drives us to overeat and binge on food until we feel sick, ashamed and at the end of our rope? ​One of my current clients who has struggled with binge eating most of her life, never understood ​why she couldn't heal even though she sought help from multiple therapist​s, nutritionists and organizations. ​During her binges, she ​would feel completely out of control and like she couldn't stop. She would binge ​all day long, not just at night, or in mini-sessions. She would ​overeat in massive quantities, all the foods that have been on her forbidden list for years, like bread, tortillas, chips, etc. These foods were not allowable in her eyes, and they were "evil," because ultimately they would lead to weight gain, ill-health or she had heard from some "expert" along the way, that these foods were "BAD," and she needed to cut them out of her life. As we dug deeper into her eating patterns and this out of control feeling with food, I would often ask her, "What's beneath the binge?" In other words, what's driving your binge eating? And it was always difficult for her to answer, but she knew that was where the real healing would happen. This question, for many of my clients, often stops them in their tracks, and leaves them speechless, and it did with her too. ​She is the reason why I am writing this blog, because she suggested​ it so I can help others who struggle in this area too. ​The question is something ​most people never consider, or think of. They've always blamed the food, or their bodies or chalked it up to addiction, and never​ took into account that it ​could be something outside of the food that was responsible for the binge​s. ​Food, it turns out, is usually the symptom of something deeper that we are not addressing. ​I know this can be a hard pill to swallow for many, because isn't it easier to blame the food for our issues? ​Well, maybe, but that won't solve anything or help you understand WHY you are bingeing and what is driving it. It also will do nothing to help you shift your relationship to food and heal​. 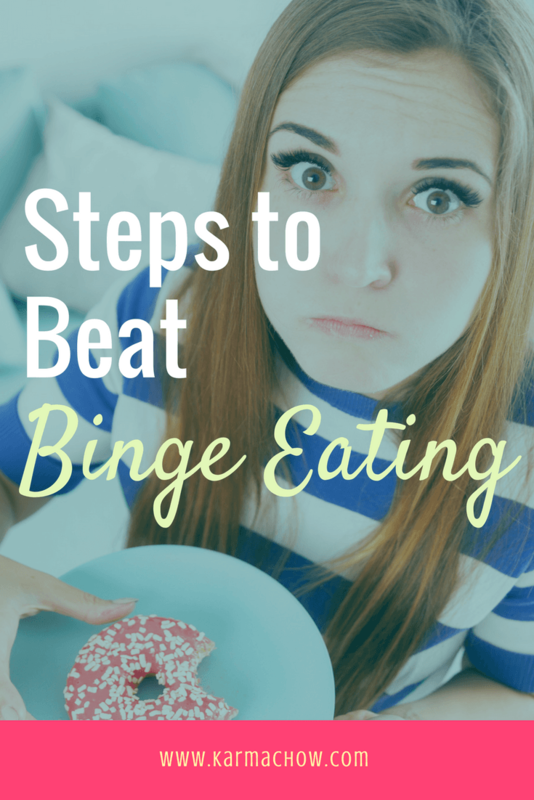 ​Binge eating is often a by-product of restriction and dieting. It can also be ​linked to other areas in your life such as relationships, money, career, sexuality and more. ​Often times when we are not living our authentic truth, food can be an escape to that. It's a way to fill a void, if you will. ​When I was bingeing regularly, it was due to feelings of loneliness, being unsafe in the world, and uncertainty. Being raised in a violent household created tons of uncertainty and ​feelings of being out of control. Food became my safe haven. The place I could go to get comfort in any given moment, and feel like I had control over something, even though I ended up feeling worse afterward. It was a vicious cycle for years but I didn't know how to change it. When I ​started to ​get curious about what was underneath my binge eating, ​​I started to heal and shift my relationship to myself, which led to shifting my relationship with food. ​It's not an easy road, but it's one that​ is worth traveling because ultimately it leads to freedom. Awareness will always be the first step in healing, and then comes the action. Below ​I am sharing a few of the powerful actions I took to bring awareness to my binge eating and ultimately heal it. The first step to getting to the core of your eating issues is to be curious about them and bring awareness to the patterns. It's common to immediately go into judging ourselves and feeling guilty about what we ate, or the binge we had. Studies have been shown that as humans, we are wired for negativity and it's easy to spiral down into a well of negative thoughts. Judging yourself will never help anything and it will continue to ingrain the pattern even further. What am I really craving right now? What is that I am looking for food to give me other than nourishment? What am I avoiding? Why do I want to binge? What would a binge solve in this moment? Start here and see what comes up. You might want to spend a few minutes writing it out and just dumping these thoughts on paper to interrupt the pattern. Remember, awareness is the first step. ​Dieting is the number one culprit to binge eating AND emotional eating. Any time ​you restrict yourself, there will be a pendulum swing to the other side, guaranteed. 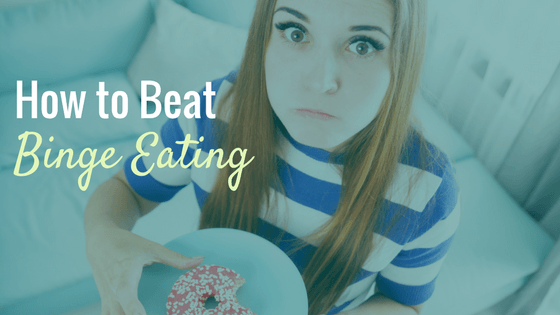 I ​know ​we are taught that in order to lose weight, we must diet, but what that does is keeps us stuck in the dieting mindset, which will keep us in a food prison. I understand that the idea of letting go of dieting can bring about feelings of being out of control, but what it also does is sends the message to our body that we don't trust it. Your body has it's own innate wisdom, and wants to be balanced and healthy. Unfortunately, our society doesn't support that and it's almost the cultural norm to be on a diet these days. I believe that whatever we control, ends up controlling us. Control is an illusion, pure and simple. One thing to always remember is that you have a CHOICE. When you can start to let go of dieting, and remember that you have a choice, then you will begin to heal even further. There is no ONE perfect diet for anyone, and that mindset will keep you spiraling. Constantly searching for​ the perfect way of eating will keep you on edge, and in continued obsessive food thoughts. Instead start to tune in to your body to see what feels good for it. After you eat, notice any physical sensations you have, or emotional reactions. Make a note of these, as they will start to give you information on why you struggle and binge. ​In my Food Freedom LIVE Group Program, we ​use a tool called Food/Mood Tracking where the participants will write down what they eat and how they felt before and after they ate. They will even tune in to see if there was a trigger present for their eating like stress, feeling tired, sadness, etc. This is a powerful process that attunes them to their body and emotions. The key is to track the food without judgement and to use it as a tool to uncover your patterns. Give it a try and see what you notice. One ​thing I learned about myself in ​the journey of healing my binge eating was that I wore many masks. I was constantly hiding who I was, worrying about what others thought of me and trying to please everyone. This resulted in major feelings of resentment, loneliness and NEVER feeling good enough. Which ultimately led me to a box of licorice and bag of oreos. ​I wanted people to see me in a certain light, and to think that I had it all together when in truth I was struggling inside. I look back on photos of myself when I was deep in my food struggles and ​I have a big old fake smile on my face. But no one knew it was fake, I was pretending everything was A-OK but the truth was, I was in a world of pain and battling internally with myself, my body and food on a daily. ​When I started to get real, to say what I felt, and to stop worrying about what others thought of me, my food issues started to wane. The pull toward food became less powerful and I started to feel more empowered and aligned in my life. Showing ourselves to the world can be scary, because we are taught that vulnerability is weak. ​But what I have learned through my journey, is that vulnerability is strength. Being vulnerable, speaking my truth and standing in my power ​has resulted in so much richness in my life. I have zero desire to hide anymore, and because of that, I no longer find myself wanting to binge, mindlessly eat or numb out with food. ​Start small, and share with people you trust that are in your inner circle. Get honest about your struggles, and let people know you need their support. I guarantee a HUGE weight will be lifted off your shoulders. Binge eating is something many Americans are faced with daily, and the feelings of shame, disappointment and self-criticism can be overwhelming. By implementing these 3 keys, you will be taking steps toward your deeper healing, and getting to the core of what is beneath your binge. The key is to practice patience and be consistent with taking action in the moment to break old patterns.